A BP Transmission Rebuild for your Evo 8/9 will take your tired, worn out and notchy transmission, and transform it into a trans that will shift like a dream, hold lots of power, and last for years!! The STM ACD Reservoir for the 2003-2006 Evolution VIII-IX replaces the ugly, factory, plastic tank with this beautiful lightweight, aluminum piece with a mirror polished finish and includes the black cap and stainless allen bolts for a clean and simple install. The Evo VII / VIII / IX Front axle bar upgrade. 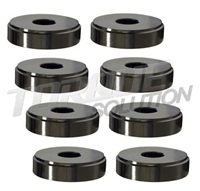 These are the Level 2 Front axles for the Evo VII / VIII / IX. This is Driveshaft Shop's Pro Level 1200HP system for the Evolution VII / VIII / IX platform. This is Driveshaft Shop's re-designed Level 5 system for the Evolution VII / VIII / IX platform. 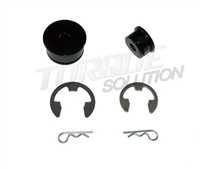 Torque Solution Shifter Base Bushing kit for your 4G63. ACT's 2100 "Heavy Duty" Clutch Kits provide a smooth, stock-like pedal feel, and include a one-piece Monoloc Collar designed to provide uniform load on the bearing and pressure plate. **Available in Street Disc, 4-puck, and 6-puck configurations. ACT's 2600 "Xtreme Duty" Clutch Kits minimal weighted disc are ideal for fast, quick shifting. With race-proven performance and street managability, these clutch kits are available in Street Disc, 4-puck, and 6 puck options. 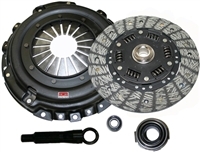 Competition Clutch Stage 2 Street Series 2100 Clutch Kit is designed for aggressive street use and moderate track use. 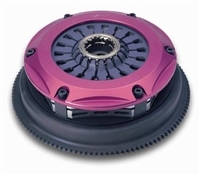 Competition Clutch Stage 3 Street/Strip Series 2600 Clutch Kit is the ultimate street/strip clutch combination available on the market, designed for those who need quick but smooth engagement points at high RPM's. New to the Competition Clutch product line, this triple disc clutch kit is now available for your Evo 8/9, and are designed for the extreme racer needing maximum performance. Competition Clutch Twin Disc Clutch Kits provide the most economical racing clutch available for the active sport compact enthusiast. 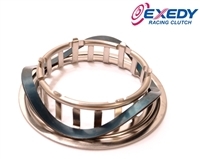 Delivering uncompromised reliability and performance for all uses/needs (street, drag, etc), this clutch kit is the preferred choice for many professional racers. Designed for high-powered applications, Exedy's Triple Disc Clutch Kits are a perfect fit for those wanting performance for both track and street use. Designed for high-powered applications, Exedy's Twin Disc Clutch Kits are a perfect fit for those wanting performance for both track and street use. The new Quarter Master® clutch utilizes eight integral steel hardened legs to provide a much longer lifespan than one-piece aluminum covers where the floater and pressure plates have a tendency to wear into the drive legs. STM's Evo 8/9 Clutch Fork Stop is designed to stop the clip on your clutch from popping out due to fast, hard shifting. 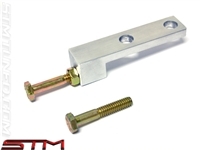 Eliminate this issue from happening on your multi-plate clutch, and pick up a Clutch Fork Stop today! The AMS Evo 4-9 Lower Clutch Line kit includes the lower clutch line with appropriate fittings, and is a great replacement for the OEM steel line that connects to the slave cylinder. 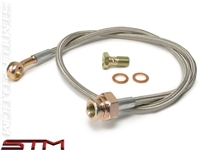 STM Stainless Clutch line for the DSM and EVO 8/9. This one runs from the factory hard line to the slave cylinder. 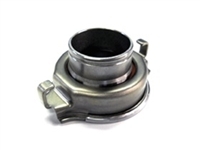 STM Stainless Lower Clutch line for the EVO 8/9.